The Prelude TB711 tenor trombone features a balanced design that enables a comfortable instrument position for the younger player. The .509" medium bore is designed for ease of tone production while allowing for proper embouchure development. Chrome-plated brass inner slides are durable and provide smooth action. The clear lacquer finish provides a subtle warmth to the overall sound. The TB711 is Ideal for beginners players of all ages. 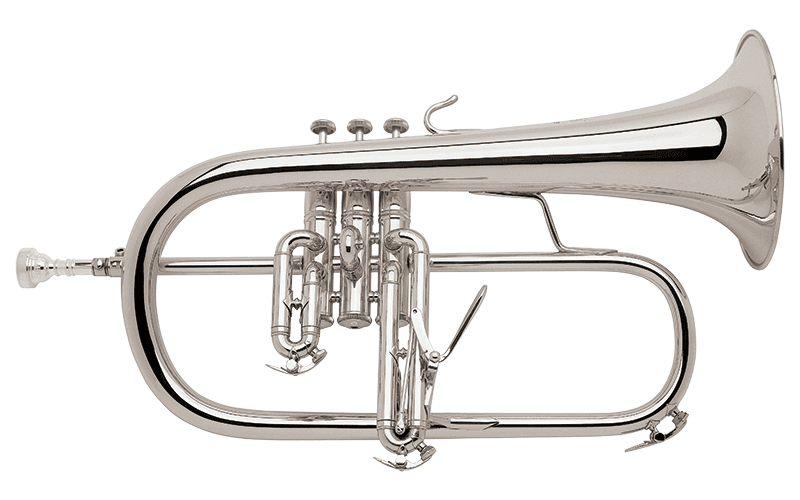 The Prelude TB711F is a value priced tenor trombone perfect for a students first experience with an F attachment trombone. It has a large .547" symphonic bore with a standard rotor valve with mechanical linkage. The traditional wrap of the F section promotes clean attacks and stability. It has nickel silver outer handslide tubes with a nickel silver crook and chrome plated nickel silver inner handslide tubes providing the ideal surface for smooth and quick action. The clear lacquer finish provides a subtle warmth to the overall sound. The TB711F is a well designed instrument perfect solo, concert band, and symphonic repertoire. The Bach 183S Stradivarius flugelhorn is famous for it's signature Bach sound. The .401" bore promotes an ease of response while the one-piece hand-hammered professional bell produces a warm sound with full projection. The silver-plate finish provides a controlled brilliance to the overall sound. The 3rd valve trigger allows for quick and accurate adjustments. The 183S flugelhorn is a well rounded instrument at home in multiple musical settings.